I last saw congresswoman Loretta Sanchez back in August 2014. That’s when I was in Washington D.C. for a week of actions that capped a year of protests against the Obama Administration’s deportation policies, which culminated with the announcement of deferred action for parents of citizens and residents and the end of Secure Communities, the president’s flagship deportation program. We walked past each other in a hallway, and I wasn’t sure she recognized me. I turned to wave and she responded in kind. Two years later, Sanchez gave up her long-held congressional seat in a failed bid for senate. But Assemblywoman Sharon Quirk-Silva teased Sanchez’s return to politics by announcing her as an Orange County Board of Supervisors candidate during a Gil Cisneros victory rally last week. During the year OCIYU spent protesting Sanchez in pressuring her to support far-reaching executive action to stop deportations and provide administrative relief to the largest number of undocumented immigrants possible, Alexis Nava at Resistencia, Autonomia, Igualdad, lideraZgo (RAIZ), now Resilience Orange County, followed a different strategy: he and RAIZ brought forward individual cases of people facing deportations and demanded that Sanchez’s office intervene on their behalf. Their strategy worked on multiple levels. While Sanchez and her staffers resisted our campaign for significant administrative changes to the immigration system, they took on whatever cases Nava brought forward, and they’d let us know about it to blunt our criticism. But as each case was resolved, many more of her constituents came forward to reach out for help. By the time we did our sit-in at her DC office the writing must have been on the wall: stopping deportations on a case-by-case basis was unsustainable. Nava admitted as much when Sanchez’s district director highlighted their work with RAIZ at the Los Amigos of Orange County meeting in Anaheim two days after our sit-in. Without coordination, our campaigns benefited one another and moved Sanchez to the left on immigration in a way very few people have really grasped or appreciated. Salvador Sarmiento, from El Centro Cultural de Mexico, worked at the National Day Laborer Organizing Network’s (NDLON) DC office during most of the #Not1More Campaign and noticed the change. Like most Democrats in congress, especially Hispanic ones, Sanchez supported comprehensive immigration reform. And like most Democrats, she had an aversion to any solutions or strategies that weren’t the reform they’ve been promising since before I was born. But while most congress members remained stuck beating that dead horse, Sanchez’ relationship with her immigrant constituents changed as a result of our protests and advocacy. Her office remained open to supporting immigration cases–even those that some of the most progressive Democrats are still too afraid to touch. When it came to advocating for national policy, it became easier to count on her office for a letter of support. It’s a record that puts congressman Luis Gutierrez, who’s always been more interested in pursuing the spotlight than doing the heavy behind the scenes lifting it takes to stop a person’s deportation, to shame. 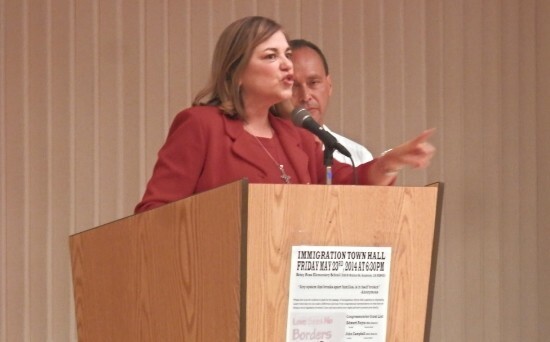 Now Sanchez appears to be preparing a run for Todd Spitzer’s soon-to-be vacant supe seat, but in saying that she ended her career in congress with one of the most progressive immigrant rights records, I’m not arguing for her qualifications to sit on the county board where many questions surrounding its relationship with Immigration and Customs Enforcement (ICE) remain–she’ll have to do that herself and we’ll have to know where she stands on a host of other issues that impact working class communities of color. Rather, I’m giving credit where credit is due and setting the record straight about how progressive policies and positions take shape when the community elbows its way into the political process to make change happen. For all of us, change demands imagining a better world while living a cruel reality. 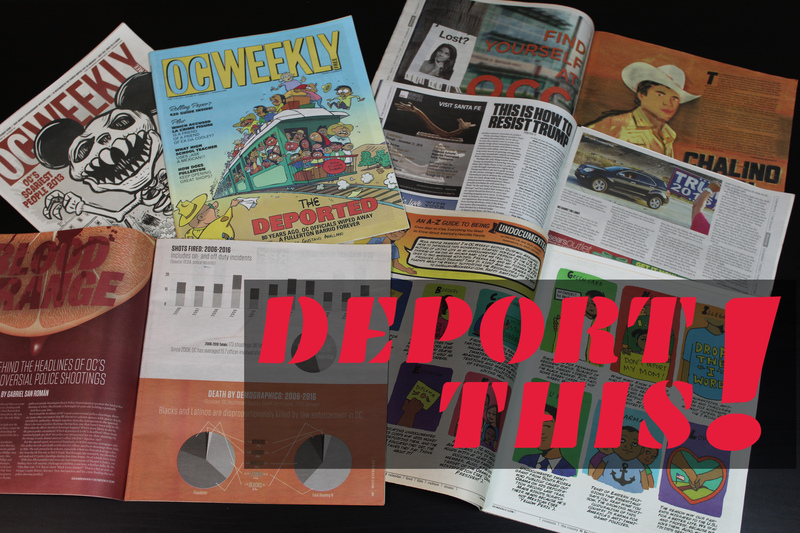 For people like Luis, Jonathan, and Dulce it demanded a red-eye flight and a night in jail. For Alexis, it demanded daily confrontations with the trauma inflicted by our deportation and policing systems. For immigrant families like the Sixtos family it took learning to navigate and fight the immigration system while being impacted by its worst excesses. When we make change happen, let’s own it. Hairo Cortes is a founding member and Executive Director of Chispa. You can usually find him singing along to Johnny Cash or playing with his cats. Follow him on twitter @HCortes96 for sporadic updates. Donate to Chispa!